Citizen Engagement on the Environment: Public and Stakeholder Engagement Training, 6-8 May 2019, Liverpool. Annual ECO Development Day, 30 April 2019, Sheffield. Council for Learning Outside the Classroom, 10th Anniversary. Project Officer – Growing Care Farming Project, closing date: 18 March 2019. Forestry Commission’s Education Offer, closing date: 2 April 2019. Connecting Children and Teenagers with Local Nature: UK research showcase and networking event, 17-18 June 2019, Brighton. Learning Expedition: A prescription for better health and wellness, 13-15 November 2019, Spokane, Washington. The Children’s Fire, 15-21 June 2019, Embercombe. Connecting children with local nature: UK research showcase & networking event, 17-18 June 2019, University of Brighton, Grand Parade campus. Event flyer. Wild Tribe Outdoor Learning Conference, 12 March 2019, STERTS, Upton Cross. Conference flyer. Special Issue "Health and Wellbeing in an Outdoor and Adventure Sports Context", Deadline for manuscript submissions: 31 March 2019. Introducing the Pikler approach: A series of two workshops Facilitated by Pikler specialist Dorothy Marlen and Pikler enthusiast Clare Caro, 23 March 2019 & 15 June 2019, Cambridge. EOE Conference: Diversity and inclusion in Outdoor & Experiential Learning, 25-27 September 2019, Tralee, Ireland. EOE Conference flyer. 18 January 2019: the inaugural event for the Peninsula Research in Outdoor Learning, in which the Outdoor and Experiential Learning Research Network will formally become a Regional Hub for the national network of research hubs, led by the Institute of Outdoor Learning. Tide's out, school's in: the many benefits of beach teaching. Beyond the Classroom: creative curriculums conference. 29 March 2019, Humberston. Call for Proposals: “Learning Expedition: A prescription for better health and wellness” themed symposium. 13-15 November 2019, Washington. Outdoor Learning Research: Insight into forms and functions. Edited by Sue Waite. Assistantship. We are looking for a graduate student whose research interests align with the field of informal science education, with a particular focus on avian outreach and education. 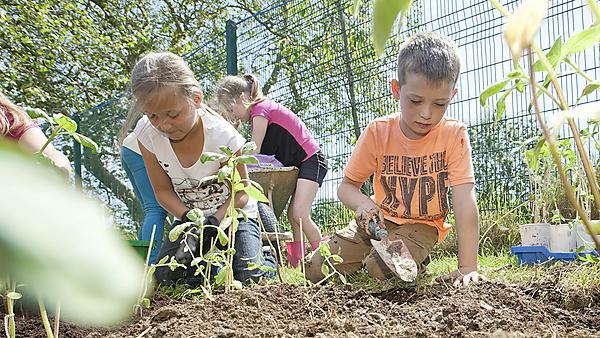 Nature Friendly Schools Project Manager (Grants), closing date: 3 February 2019. Nature Friendly Schools Delivery and Learning Manager, closing date: 3 February 2019. Camp Cook Recruiting for May-July 2019 programme. Deadline: 6 January 2019. Recruiting Facilitators. Deadline: 6 January 2019. Peninsula Research in Outdoor Learning (PRinOL) One-Day Conference, 18 January 2019, Plymouth.